Most of the locations in A Duke in Shining Armor are real—or as real as I can make them. Some once existed but no longer do, some have changed beyond recognition, and some are there, looking more or less the same. None are entirely the same, of course. For one thing, the extant buildings have indoor plumbing. And electricity. The White Lion Inn, where several important early scenes occur, did and does exist, although my characters wouldn’t recognize it today, and may not have even known it by that name. On my investigative tour of Putney, last summer, we came upon what seemed to be the right building. At the time, though, I wasn’t sure this was the place. What I saw was clearly a late Victorian structure, and closer inspection confirmed an 1880s date. Still, the big lion on top was a clue, and I asked Walter to take some photos. Once home, with various books at hand, I felt more certain of its identity. This did seem to be the White Lion, but extensively renovated and decorated or maybe entirely rebuilt at about the same time the new Putney Bridge went up. Reviewing my copy of the Panorama of the Thames, I found a place called the Putney Hotel, which a note in the text referred to as the Red Lion Inn. But this seems to be the same building Ralph Rylance refers to in his 1815 guidebook, The Epicure’s Almanack, as the White Lion. I can confirm that it (1) is no longer the Australian Walkabout Inn, (2) was closed, and (3) had been closed for some time. But its location and surroundings did fit what I'd pictured while writing the story. For the interior and stable yard scenes, I used a combination of imagination and research into 18th and 19th century coaching inns. Photograph at top by Walter M. Henritze, III. 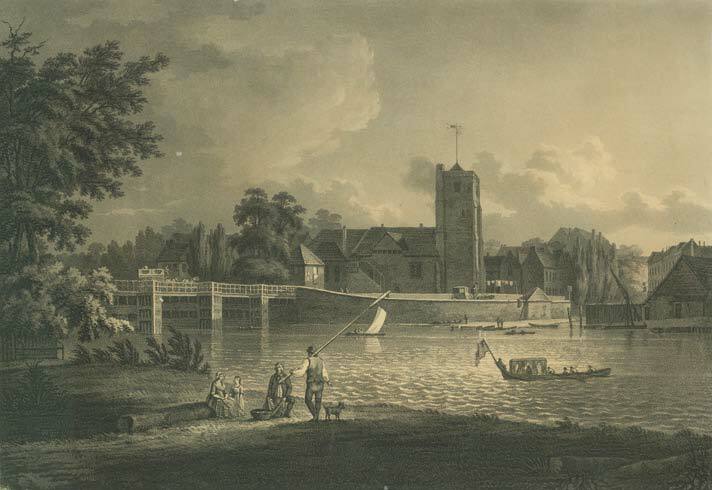 The image of 1829 Putney is a screen shot from the fabulous website connected with the Panorama of the Thames, a gorgeous book. I strongly recommend your visiting the website, for larger images, and tons of information. You can scroll along for the river view or search by specific locations. 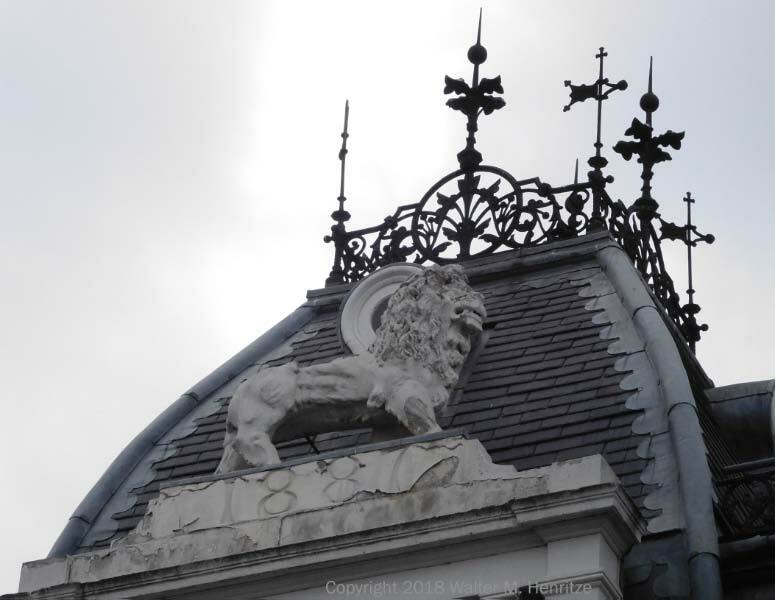 These images of the White Lion at the Victorian Web show you how extremely Victorian the building is now. Left to right: Putney Bridge & Church 1799; Putney Bridge 1793; the White Lion (my big clue).